The definitive guide to dining and entertainment in the Cayman Islands. With the largest print readership, most web traffic and social followers of any culinary focused medium, Cayman Good Taste captures the largest culinary audience in the Cayman Islands. In a nutshell Good Taste is aimed at anyone who enjoys good food, good wine, good company and great style. 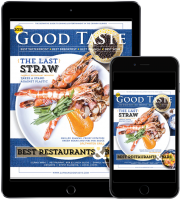 Good Taste is "the restaurant guide" for the Cayman Islands and is the most comprehensive free dining and entertainment resource in Cayman with coverage on restaurants, bars, local food, live music and event planning. 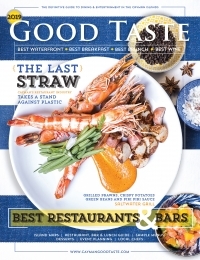 Good Taste magazine is free and available at hotels, shopping centres, restaurants and multiple other locations Island-wide. With over 20,000 web visits and an average of 50,000 page views per month, CaymanGoodTaste.com is the most visited culinary website in Cayman and features Cayman's best bars and restaurants with full menus, latest culinary news and interesting articles. The site offers powerful search tools as well as the ability to make online reservations and reviews. 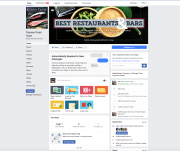 Good Taste harnesses the power of social media to help restaurants and bars connect with patrons in real-time. Good Taste boasts over 15,500 active Facebook followers who look to Good Taste for upcoming culinary events, restaurant happenings, Happy Hours and more. The free digital edition eBook extends the reach of Good Taste magazine to a global audience and offers a convenient, portable platform for readers on Apple and Android devices. 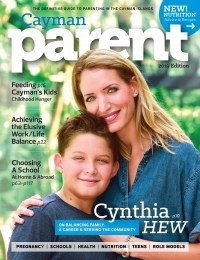 The digital edition also includes interactive email and website links and a powerful search feature. Everyone looks at Good Taste, tourists and residents. It is the restaurant guide for the Cayman Islands and is simply the best advertising we do! 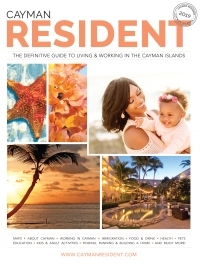 Good Taste is Cayman's most comprehensive print and digital guide for restaurants, bars and entertainment. Good Taste successfully combines print, social media and digital technologies to keep readers informed about all things culinary in Cayman. Used by residents and visitors alike, the beautifully produced magazine boasts exceptional Island-wide distribution and is highly recommended by the tourism sector. Additionally the web and social media products provide an effective digital promotions platform that can instantaneously reach digital visitors.